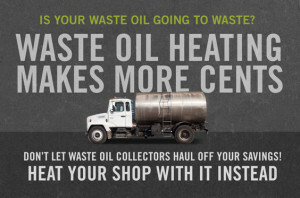 Waste Oil Heat | Automotive Equipment, Inc. So what is Waste Oil Heat? Waste Oil Heat is the result of burning your oil in a special furnace and then using that heat to warm your shop. 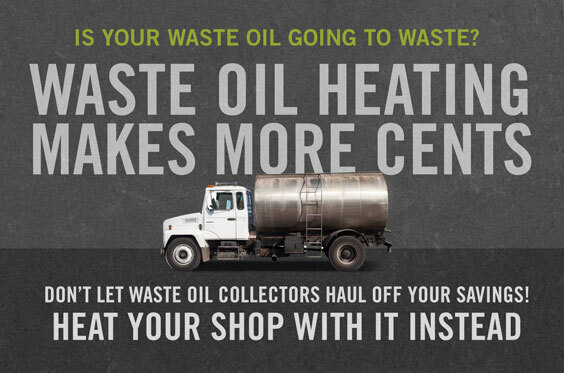 Why pay to have your waste oil hauled off? Instead, kill 2 birds with 1 stone by using it to create heat in your shop. Not only will you save by not having it hauled away, but you also won’t have to pay for natural gas or electric heat! 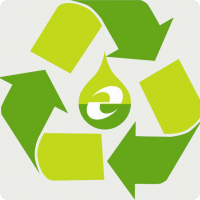 In December 2014 the 2 major haulers of waste oil changed their policy to begin charging for their service. How much could you be saving if you used that oil? Check out this calculator to see how much you could save in the first year alone, and then over the course of 10 years. Used oil is stored onsite and burned as heating fuel. It’s the an environmentally friendly alternative with the lowest environmental and business risks. Also, this method conserves nonrenewable energy sources, such as natural gas, heating oil, propane or coal-generated electricity. So not only do you save money, but we also take less away from our dear planet.